To know more about custom-fit loan and new offers, click here: http://bit.ly/2A3IkMO. Customers can give a missed call on 9667951616 number and will receive a callback. Mumbai: HDFC Bank Ltd., today announced the launch of custom-fit car loans #AapkeHisaabSe in Mumbai. As part of this offering, customers will now be able to buy cars at lower EMI (up to 24% under Step-up EMI in first three years and upto 30% under Balloon repayment program). This unique product is available for all categories of cars, from standard to premium and helps people fulfil their dreams of a better car now based on future income. To know more about custom-fit loan and new offers, click here: http://bit.ly/2A3IkMO. Customers can give a missed call on 9667951616 number and will receive a callback. New customers can walk-in to any HDFC Bank branch or car dealership to avail custom-fit car loans and existing HDFC Bank customers can get it instantly on NetBanking. Step-up EMI: A Step-up plan allows the customer to start repayment of your Car Loan with up to 24% lower EMIs in the first three years and gradually increase the EMI. It enables a customer to take a higher loan amount at lower EMIs. Now if a person had paid a standard EMI of Rs 12,390 he would have been eligible for a loan of Rs. 7.50 Lakh whereas now he is eligible for a loan of Rs 10 lakh. With a clear saving of Rs 4,230 per month, the affordability has increased for a car that meets the customers’ aspirations. Balloon Repayment: A balloon EMI allows customers to pay up to 30% lower EMIs through-out the tenure and a larger lump sum amount at the end of the term. So a customer availing of Rs 10 lakh auto loan can pay 60% of the loan as EMI for 59 months (tenure of 5 years). The balance 40% is to be paid at the end of the tenure under the Balloon repayment option. “The initiative #AapkeHisaabSe is about customizing our products and services to help fulfil the dreams and aspirations of our customers. This is not just convenience but an experience for customers where we are offering not just lower EMIs but also 10-minute approvals, longer tenures and also insurance in the form of Suraksha Kawach. 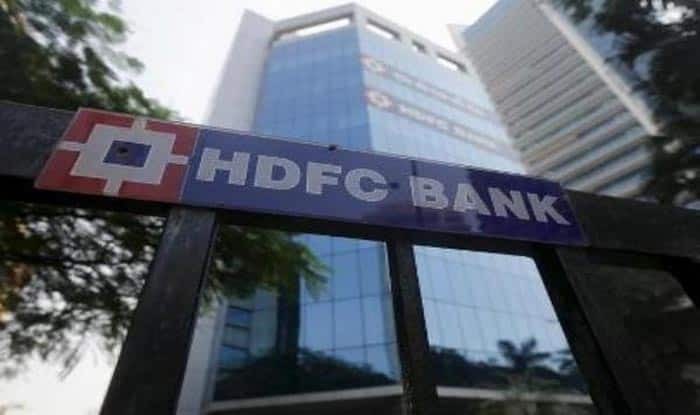 Both Step Up and Balloon Repayment have been available by the Bank for practically every car category in the country,” said Mr. Nitish Nagori, Executive VP – Auto Loans, HDFC Bank.